Sturdy working trousers with double-stitched seams. 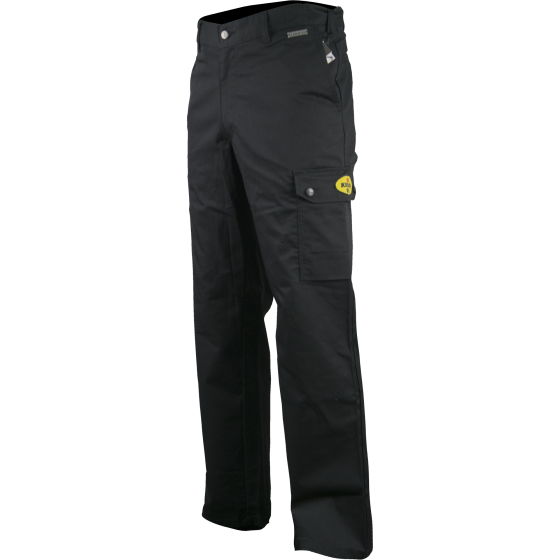 High comfort, durable and equipped with several large pockets. Color black with grey accents.